When you live in a city, space usually is at a premium. We work magic with even the smallest spaces. 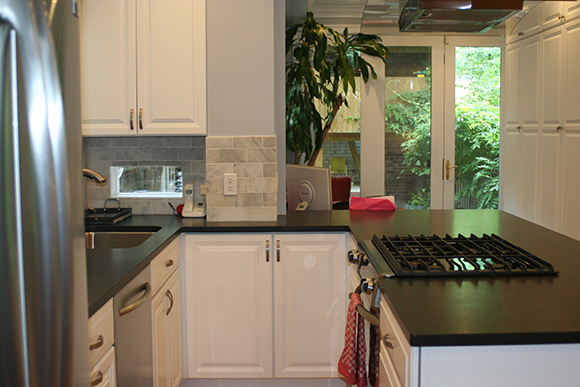 This classic Capitol Hill kitchen for example, makes use of every inch. Opening the back wall to a cozy patio brings the outdoors in and creates a quiet city retreat. The U-shape allows for easy and organized cooking in a relatively small area. 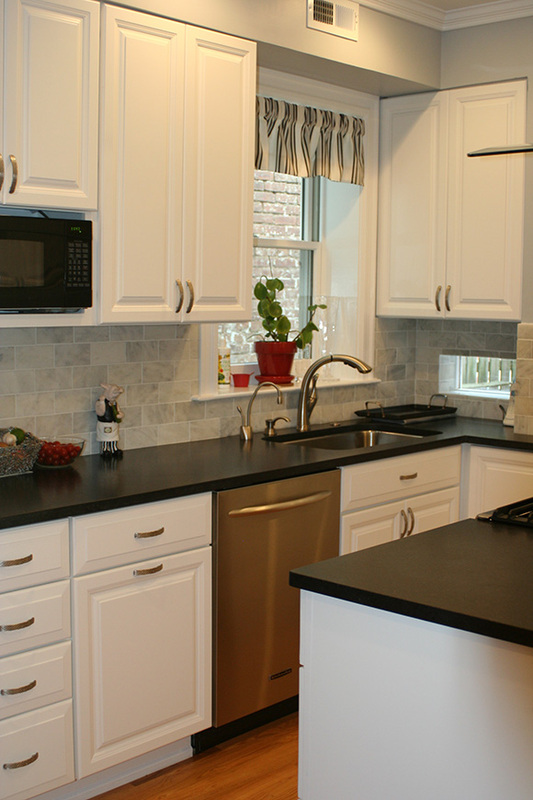 Numerous cabinets allow for plenty of storage. 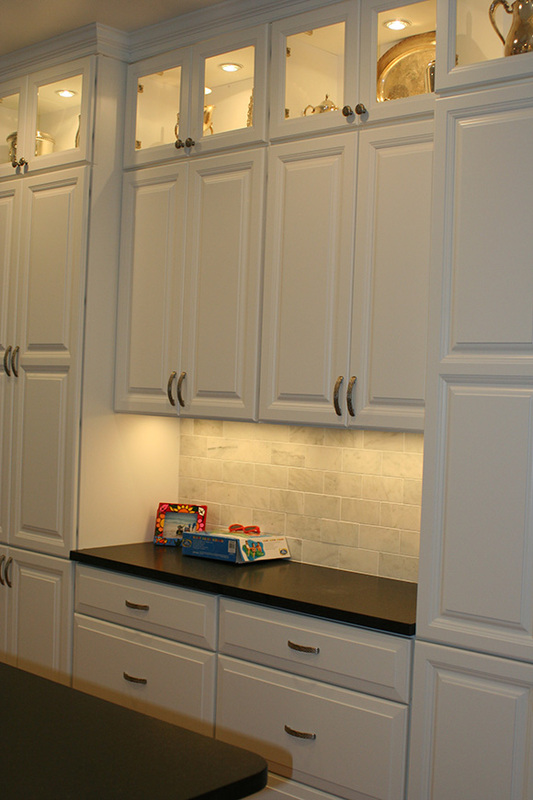 Lights in the upper cabinets provide a sense of greater space and airiness.